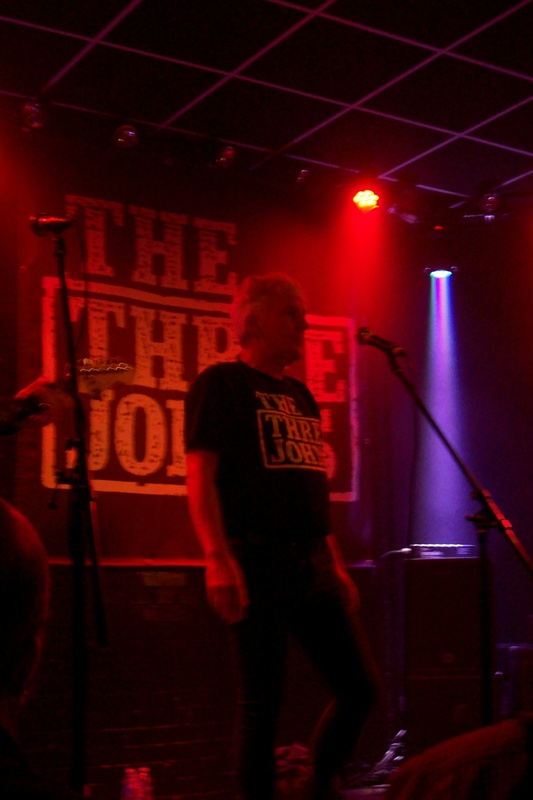 On 5th August I went to see those local legends The Three Johns rocking The Brudenell in Leeds. 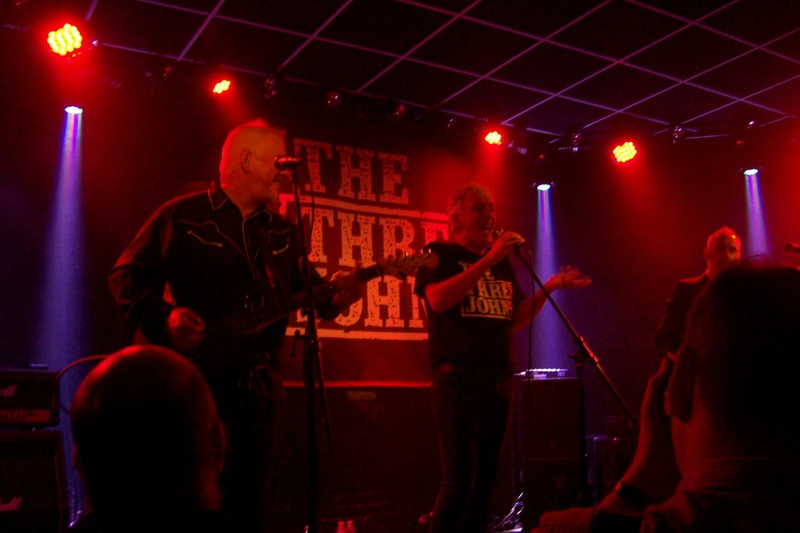 It was great to see them live again and especially to see that John Hyatt was back on form after recovering from throat cancer. 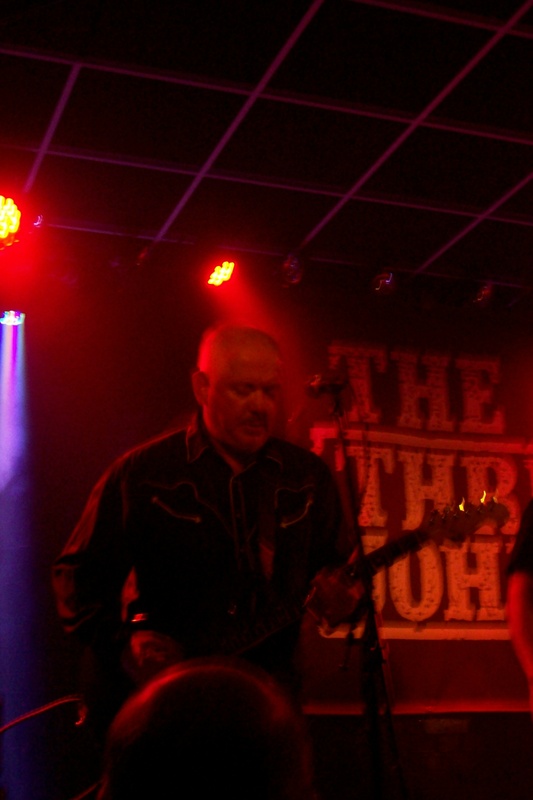 The Three Johns are definately the best band to wield a drum machine from Leeds who are still playing live with the fire and passion of the 80’s. 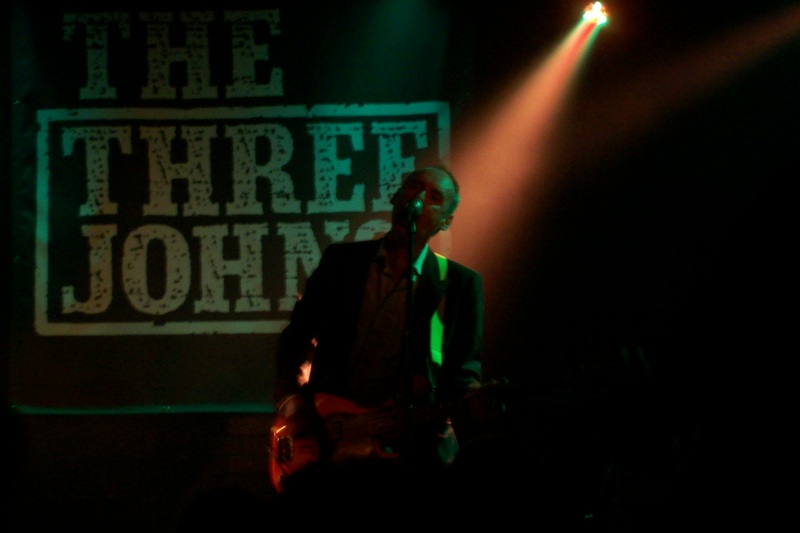 Another great set included some of the familiar songs and funny banter from the band which is an integral part of The Three Johns live experience. They played AWOL, King Car, Brainbox, Death Of The European, Teenage Nightingales To Wax, Windolene, Lucy In The Rain, and English White Boy Engineer to name a few of the tracks. The gig was also an opportunity to pick up a copy of the Volume box set Anthology. The 3 album set also includes a very nice booklet of original diary notes, artwork and blurbs around the time of the releases featured. 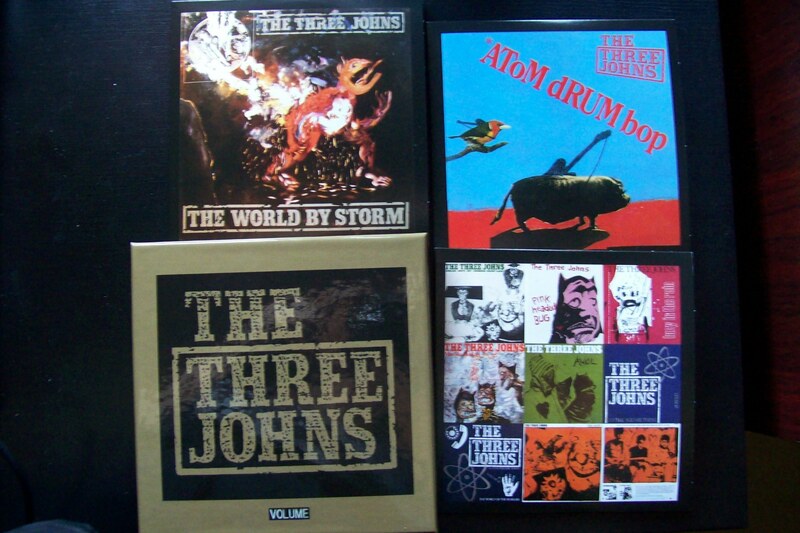 This is definately an essential introduction to The Three Johns for any new fan discovering the band, as well as one that will fill gaps in your music collection if you aren’t fortunate to have the early singles and B-Sides on vinyl. CD 1 features the singles English White Boy Engineer, Pink Headed Bug, A.W.O.L, Men Like Monkeys, Do The Square Thing, as well as great tracks like Windolene, The World Of The Workers, Sad House (Razorblades) and The Day Industry Decided To Stop. CD2 is an expanded version of Atom Drum Bop which includes the b-sides for the Singles Death Of The European & Brainbox. Featuring classics like Teenage Nightingales To Wax (if this doesn’t have you jumping around check your pulse as you must be dead ! ), Firepits, the epic Sun Of Mud, Death Of The European, Brainbox, and A cover of 20th Century Boy amongst a great tracklist. CD 3 is an expanded version of The World By Storm which again features hard to find B-Sides of vinyl singles Torches Of Liberty, Industry, Sold Down The River and Nevr & Always. This a great album and has only got better with age. Featuring classic tracks like Sold Down The River, King Car, the epic Demon Drink, Torches Of Liberty, Atom Drum Bop, Death Of the European, The World By Storm, Fruitflies, It also features the exceptional Industry/AWOL live single. Never & Always, and Turn Up Those Downhearted Blues, still sounds great. Some may complain it doesn’t include Live In Chicago, Death Of Everything and Eat Your Sons but Volume is a great way raising awareness of The Three Johns and getting new fans hooked on The Three Johns, and it will lead them to search out the other albums which is a good thing. And who knows maybe a Volume 2 might be waiting in the wings for those lucky enough to have everything on vinyl and wanting to own it on CD.